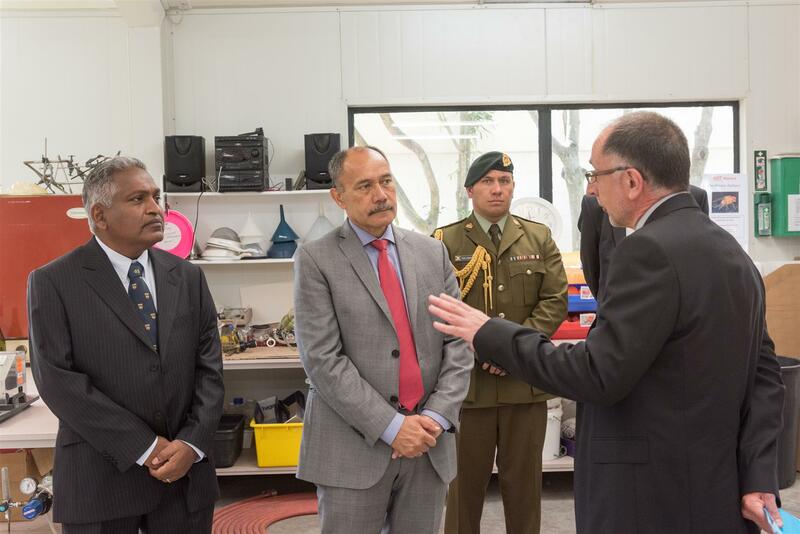 On the 10th March 2016, His Excellency the Governor-General Lieutenant General the Right Honourable Sir Jerry Mateparae visited Lincoln University. 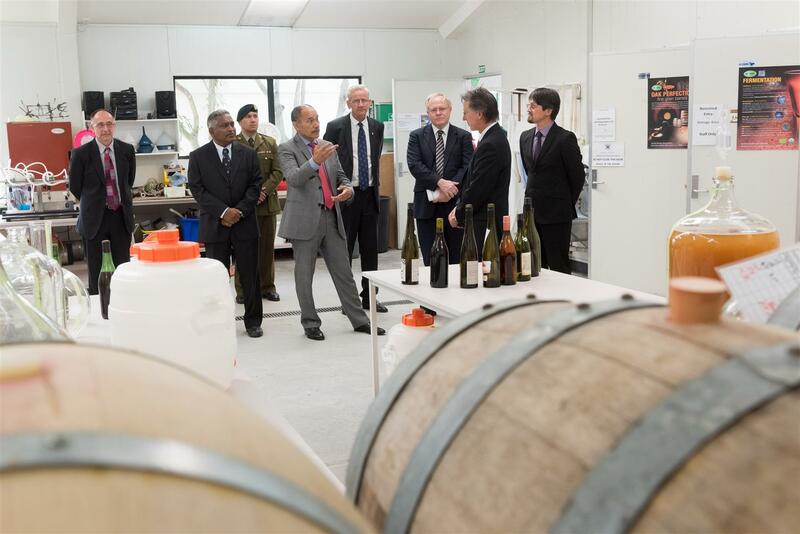 His visit included a tour of the Department of Wine, Food and Molecular Biosciences and the Lincoln University Winery. Head of Department, Professor Don Kulasiri, gave His Excellency a tour through a selection of laboratories including wine chemistry where Dr Roland Harrison outlined research projects on wine quality such as protein stability of Sauvignon blanc and the regional character of Pinot noir. His Excellency was then able to smell some important aroma chemicals found in wines and derived from grape, yeast and oak sources. At the Lincoln University winery, His Excellency discussed teaching practices with vineyard manager/winemaker Bernard Newman, Dr Glen Creasy and Dr Roland Harrison. The course at Lincoln University is focussed on cool climate viticulture and oenology and students’ studies emphasise the continuity from ‘grapes on the vine’ to ‘wine in the glass’. Wines are evaluated at the year-end tasting where students can sample each other’s efforts. In the adjacent winery laboratory, procedures for monitoring grape ripening were demonstrated and how this information is used to better decide when to harvest was explained. 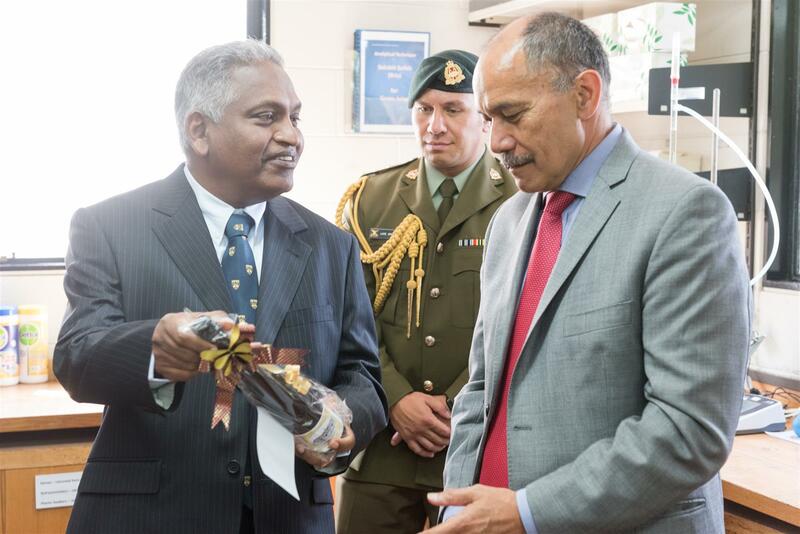 His Excellency was particularly interested in the history of viticulture and oenology at Lincoln University and the subsequent careers of students who had undertaken the programme. Dr Roland Harrison noted that Lincoln University was the first tertiary institution in New Zealand to offer such a programme, and this initiative was led by Dr David Jackson, lecturer in horticulture, who recognised a demand from students to be able to learn about wine production. At the conclusion of the visit Professor Don Kulasiri then presented His Excellency with a gift of wine from the university vineyard.